Jasmine tea, soya bean, hemp seed & coconut oils, sodium hydroxide, rice bran, palm, palm kernel & babassu oils, ground jasmine, chamomile, calendula & lemongrass, vitamin E, grapefruit seed & rosemary extracts, patchouli, sandalwood, ylang ylang & sweet orange essential oils. 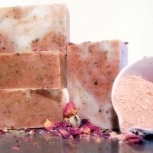 This skin-softening bar will soften your mood too. 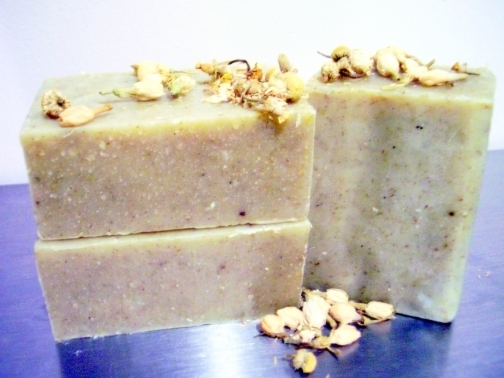 This bar has loads of hemp seed oil, a natural emollient rich in fatty acids (Omega 3 & 6). 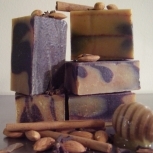 It is scented with a combination of patchouli, jasmine, ylang ylang, lemongrass & chamomile essential oils. 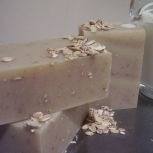 This is a gentle bar, suitable for sensitive & dry skin conditions, as well as rosacea. For more information on how we source organic, fair trade, natural and quality ingredients, locally & from around the globe, visit our website. 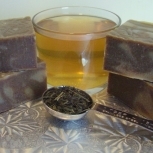 Find out why Big Tub Botanicals' creator is an award winning entrepreneur!